The NOCSL five member Athletic Commission was set up on Thursday with three Olympians in their midst. 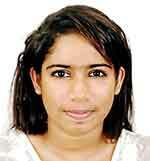 National Badminton ace Niluka Karunaratne, a world ranked player, was elected as the chairman of the commission. Karunaratne who has been in the forefront of this sport was elected the captain of the Lankan Olympic team for the 2012 London summer Olympics. He also represented the country at the 2014 Commonwealth Games in Glasgow, besides the numerous other international events. The secretary of the athletic commission is swimmer Reshika Udugampola who was also a member of the Sri Lanka contingent for the 2012 summer Olympics in London. 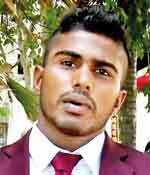 The third Olympian who has been elected to the NOCSL is Airman Chamara Darmawardena who once gave up a promising athletic career to convert himself as a Judoka. He was member of the Sri Lanka contingent for the 2014 Rio Olympics. The other two members of the commission are Ishara Madurangi (Table Tennis) and Chamari Warnakulasuriya (Weight Lifting). “Niluka will be elected into the executive committee of the NOCSL and would have voting rights, while Udugampola and Darmawardena also would be attending the February 23 NOCSL Annual General Meeting with full voting rights”. Now the persons with voting rights at the February 23 NOCSL AGM have increased from 31 to 33. The IOC Athletes’ Commission is a body maintained by the International Olympic Committee for the purpose of representing athletes. It was established in 1981 by the then-President of the IOC, Juan Antonio Samaranch, and its creation was subsequently codified by the IOC in Rule 21 of the Olympic Charter. The Commission is a consultative body whose function is to act as “the link between active athletes and the IOC”. It makes recommendations to the IOC’s executive bodies, and its chair serves as a member of the IOC Executive Board. The Commission meets once or twice a year, and organises an Athletes’ Forum once every two years. It works in liaison with similar athletes’ commissions of the Continental Associations, individual National Olympic Committees and the International Sports Federations. Did CMSC contravene the sports law? Can Hathurusingha perform a miracle?